One day our “playgroup” friends of 23 years were meeting for lunch. You’d think by now we would have come up with another name besides “playgroup” friends, but I believe I can speak for all of us…the origin is just so dear to us. We’ve been together since our kids were six months old! Precious, I know. Well, it was Sheila’s birthday, and she chose an Indian restaurant. In my eyes, the only food in Indian cuisine was curry soup, and I didn’t want to have any part of it. (I actually think I called it “slop”) I mean, come on y’all! I’m a Texas girl, so just give me something with substance, and I’m good to go! So, I ordered that chicken on a stick. Well, that’s what I called it anyway. Sheila, on the other hand, was way ahead of the game. She had lived in Malaysia with her family for eight years. She was VERY familiar of the benefits of eating that potent mustard-yellow powder, turmeric, eaten in Indian curries. Look, if I know Sheila, she more than likely gave me a short spill educating me on this most important spice that we hear about today! And did I listen? I’m ashamed to say, “No.” What was I thinking? For some reason, we think we know it all, or we choose our way of thinking when it comes to our own health. Am I right? Turmeric is a staple spice of Indian cuisine. It’s been used for thousands of years as a spice and medicinal herb. Recently, science has started to back up what the Indians have known for a long time…it really does contain compounds with medicinal properties. The compounds are called curcuminoids, the most important of which is circumin. Curcumin is the main active ingredient in turmeric. It has powerful anti-inflammatory effects and is a very strong antioxidant. The spice helps protect against cognitive loss and dementia by keeping our brain cells healthy as we age. Couple turmeric with black pepper which contains piperine, and it enhances the absorption of curcumin by 2000%. Add it to your eggs, sweet potatoes, brussel sprouts, and organic chicken. It will surely satisfy your tastebuds! Research indicates that Americans are eight times more likely to get Alzheimer’s than their Indian friends. A fact that is worth listening to. There’s so much information out there in the health food arena, it’s hard to keep it all straight. Everywhere you look there’s a new diet, another supplement, a revised eating schedule and yes, an untouched veggie that is darker and richer in color that was discovered in the mountains of wherever that has 20X the antioxidants! 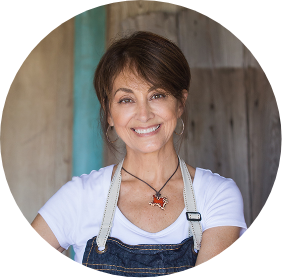 I’m here to help you fight through the clutter and find the real truth about food. Bottom line, people want to make an impact in their lives and the lives of others through healthy eating habits. Yes, something positive!! We’re dealing with lives here, and it’s flippin’ serious. Our health is nothing we need to take lightly. Agreed? So, looking back, what did I learn from my experience at that Indian restaurant? First, learn from those who are educated about healthy benefits in foods, and really HEAR what they have to say. Sometimes, we’ve got to humble ourselves, throw out our pride, and get to work! We are responsible for not only our bodies, but for our brains. You never know. I lost out on years of not incorporating this amazing spice into my diet. I could have maybe saved some brain cells throughout the years! Times have changed, though. 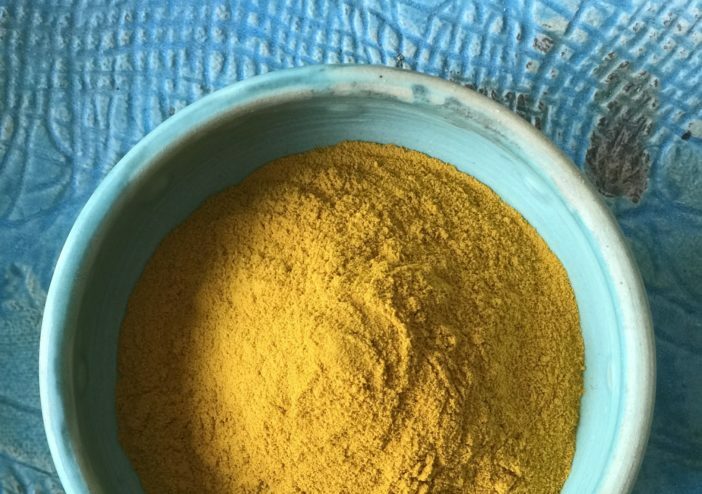 Turmeric is one of the spices that I keep on my counter right near the stove. Turmeric is my second love. Joe is numero uno, of course! Since Momma was diagnosed years ago with Alzheimer’s, I’ve consistently researched foods and lifestyle changes to incorporate into my own regimen for brain optimization. I want to help you finds ways to add brain food into your diet. Why not start with turmeric? Stayed tuned for recipes including this powerful spice on the blog!